Oscar Pistorius has been found guilty of culpable homicide – equivalent to manslaughter in British law – for killing Reeva Steenkamp. The ruling was based on the judge’s finding that he used excessive force and was negligent in firing through the door. Crucially, the judge believed Pistorius’s claim that he believed he was under attack from an intruder. The culpable homicide charge carries a maximum sentence of 15 years but no minimum sentence. Judge Thokosile Masipa granted Pistorius bail, despite the state barrister arguing that he posed a flight risk now that he knew it was likely he would face a custodial sentence and had sold his house. Pistorius was found not guilty of two of three firearms charges he faced, one of firing a pistol through the sunroof of a moving car, which carried a maximum five-year sentence, and the other for the possession of ammunition, which carried a maximum 15 year sentence. He was found guilty of one of the three firearms charges, recklessly firing a gun in public at Tasha’s Bistro in Cape Town. That charge could also carry up to five years. The International Paralympic Committee issued a statement saying that Pistorius had “done a great deal for the Paralympic movement” and would be allowed to compete again. Pistorius’s friend Darren Fresco, who was involved in two of the firearms incidents, had his immunity from prosecution upheld. Kituo Cha Sheria (Legal Advice Centre) in Kenya created a new model of access to justice when in addition to legal aid, took the approach of legal empowerment. It provides legal education to marginalized communities and to inmates in prisons through a model of Community and Prison Justice Centres to empower them to understand and advocate for their own rights. Within prisons, the legal education training is designed for inmates of all genders who face barriers in understanding their legal rights and protections, and to build their own self-sufficiency. The participating incarcerated individuals learn and pass on this knowledge to as many other inmates as possible. As a result, Kituo Cha Sheria has spread to a group of over 6,500 trained inmates who have brought over 3,600 successful appeals resulting in releases, reduction of sentencing periods, re-trials and acquittals. Since 2012, Kituo Cha Sheria has been able to bring about 41 death row acquittals and 77 acquittals for individuals sentenced to life. When issues of poverty, marginalization, and vulnerability affect people’s rights to access justice, Kituo Cha Sheria steps in. Established in 1973 as a small group of legal professionals, Kituo Cha Sheria recognizes that legal services are still greatly needed in a country where the current ratio of legal practitioners to the population is 1: 5000. Kituo Cha Sheria’s legal professionals provide pro-bono (free) legal aid and promote these services through volunteerism as a core value of its work. In Kituo Cha Sheria’s prison program, they engage pro-bono prison paralegals, staff members and volunteer advocates to train and help prisoners sort through their own cases. The inmates themselves then work to promote the rapid growth and spread of knowledge and empowerment to other inmates. This method is much quicker than waiting for only legal professionals to provide services. The volunteer advocates are registered with Kituo Cha Sheria through a structure of volunteers who offer litigation services on a pro-bono basis for Kituo’s clientele. Rather than outright recruitment, willing advocates approach Kituo Cha Sheria to offer their services. They are required to fill in a volunteer advocates form including their name, law firm where they work, physical address, contact information and the specific legal field in which they would volunteer. Following the training aid from legal professionals, the inmates themselves then work to promote the rapid growth and spread of legal knowledge and empowerment to other inmates. Currently, Kituo Cha Sheria has established three Prison Justice Centres, available at the Kamiti Maximum Security Prison in Nairobi, the Shimo La Tewa Men’s Prison and Shimo La Tewa Women’s Prison in Mombasa. Kituo Cha Sheria expands the program to additional prisons as interest and resources allow. Basic supplies such as stationery, computers and printers. While it may appear basic to some, many of the poorest citizens have little understanding of critical documents, drafting legal documents, court procedures, self-representation, or the impact they can make during their incarceration. After receiving professional guidance, prisoners feel confident enough to train fellow inmates, review their own cases to advocate in their own defense. For example, in one case, Kituo Cha Sheria worked with several men on death row for a robbery that had ended in an accidental death. 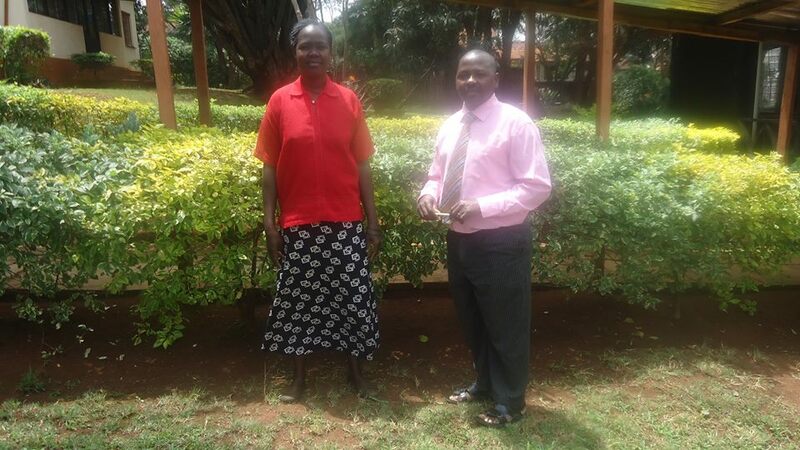 With the help of Kituo Cha Sheria, they were able to appeal their sentence. One of the men helped over 200 other inmates appeal their own cases and continues to do this work since his release from prison. And men are not the only ones benefitting. Thairu, a woman from Nairobi was falsely imprisoned for a violent crime, but remained in prison due to her inability to navigate the legal system. During her time in Langata Prison she was able to receive aid from Kituo Cha Sheria and has learned enough to appeal her own case and help educate others. Such inmates serve as tremendous role models. They are not able represent others, as they are not qualified lawyers, but they can provide legal education guidance. The method utilized by Kituo Cha Sheria is much quicker than waiting for only legal professionals to provide services. And when lawyers are in short supply, Kituo Cha Sheria has a vast network of paralegals able to provide services even in rural areas, through their seven Community Justice Centres (one in Eastern Kenya; three in Nairobi; one in Nyanza; and two in the Coastal region). These paralegals do not represent clients in court, but offer legal advice and conduct trainings in their localities on legal and governance issues. These paralegals are readily accessible to their communities, they understand issues within their localities better, and are a cost effective way of accessing justice. Kituo cha Sheria empowers individuals through building awareness of their rights and spreading legal education, so that all people will be able to access justice, enjoy and advocate for their own and their community’s rights effectively. The proposed insertion – Section 123 A(1)(a) – provides that “court may decline to grant bail where the court or a police officer has a reason to believe” that a person may, if released on bail; fail to surrender to custody, or commit an offence, or obstruct the course of justice, or interfere with witnesses. The danger and loophole capable of abuse in this amendment lies with the court denying a person bail on a police officer’s “reasons to believe” – without any judicial contestation between the state and a suspect. In this amendment, a police officer has the discretion to decide: the relevant circumstances; nature or seriousness of an offence; character, antecedents, associations and community ties of an arrested; arrested’s previous conduct under bail; and the strength of evidence against an arrested person that would warrant a continued confinement. In essence, the courts have the discretion to either make a decision to grant or deny bail upon; (i) both the state and an accused having made their say in court; or (ii) where a police officer has his/her say in court without a suspect/an arrested making his/her say. The latter is unconstitutional. Through this proposal, the State will deny a suspect liberty – a gross violation of rights as liberty belongs to every individual and cannot be granted by the State. The constitutional provision under Article 49(1)(h) is premised on a rebuttable presumption of the law engraved in Article 50(2), that one is presumed innocent until the contrary is proved. It is along this presumption that the Criminal Procedure Code provides for causing the appearance of an arrested before court, reasonably. For arrests without a warrant, other than the exceptions of offences under bail, within 24 hours. The OCS or the Court may instead of taking bail, release a person on bond or without bond if he/she lacks sufficient evidence to proceed with charges. In the contrary a <em>Habeas Corpus </em>application can be made to the High Court, to compel the police to produce the arrested before a court of law. Further confinement of a suspect without pressing charges could literary mean imprisonment. Curtailing a fundamental right enshrined in Article 25(d) of the Constitution. A right that may not be limited. Section 123 of the Criminal Procedure Code, has the effect that the court should make the decision to deny bail. It provides that whether a person is detained by an OCS without a warrant or is before court, that person may be admitted to bail. The fact that a suspect, if denied bail at the police station can make an application for bail in court, reaffirms this. Continued detention of an arrested/suspect without bail is unlawful and amounts to an infringement of the person’s right to liberty. In as much liberty is not an absolute right, the onus lies on the state to prove to the court to the latter’s satisfaction, that the “compelling reasons” fronted can warrant the limitation of this right. This is irrespective if one is a suspect of murder, treason, robbery with violence, attempted robbery with violence and any related offence. When in such cases courts hold that “He who alleges must prove”, common sense and precedence would dictate that the arresting officer’s allegations, of compelling reasons against grant of bail, must be subjected to proof. Proof is not to the police, but to a third party – the court. Most important, the one to whom the allegations are levelled against must have his say – in a court of law. This sums justice on a balance of scales. The National Assembly and the police, as state organs must address themselves to Article 21 of the Constitution. It dictates that the state and all state organs are enjoined to observe, protect, promote and fulfil the rights and fundamental freedoms in the Bill of Rights. The right not to be detained without trial, as a freedom and security of the person is not an exception. In the wake of the Constitution 2010, Kenya vide Article 2(5) and (6) is bound by International Law. On 1 May 1972, Kenya ratified the International Covenant on Civil and Political Rights. Article 9 of the treaty protects the right to liberty and security of a person. It dictates that anyone arrested on a criminal charge should be brought promptly to a judge to exercise judicial power and is entitled to trial within a reasonable period or to release. The treaty also gives recourse to anyone deprived of liberty by arrest or detention. He/she is entitled to take proceedings before court, for the court to decide without delay on the lawfulness of the detention and order a release if the detention is unlawful. Articles 3 and 9 of the Universal Declaration of Human Rights further protect the liberty of a person, including the right not to be subjected to arbitrary detention. Closer to home is the African Charter on Human and People’s Rights, in which Article 7 makes reference to the rebuttable presumption of the innocence of an individual until a competent court or tribunal proves otherwise. Continued detention without trial of a suspect/an arrested person, solely on a police officer’s reasons to believe, without contestation by a suspect on the right to bail is unwarranted. It denies an individual the right to have his/her case heard. This particular proposed amendment to the Criminal Procedure Code must be strongly rejected by the National Assembly. It is retrogressive. It goes against the will of Kenyans when they adopted a Constitution that protects the liberty of a person. Against the backdrop of a security force that has been known to misuse their powers to detain without trial, giving powers to the police to determine if a suspect should be granted bail or not opens the door to gross human rights violations. Susan Kavesa worked for a certain family as a house help here in Nairobi. During the March 2013 elections, she requested permission to go upcountry so that she could exercise her democratic right by voting. After a few days, she returned only to be informed that she had been fired. They were not even sorry for her condition that they had not given earlier notice. However, with some knowledge of her rights as a worker; she notified the employer that she was supposed to have been given a one month notice before termination. However, this was just taken lightheartedly by her boss. She was advised by friends to go to the Kenya union of domestic, hotels, Educational institutions and hospital workers where she was supposed to pay a Kshs 100 registration and an equal amount every month as a membership fee. The union did for her demand letters that were taken to her former employer. However, he did not respond nor answer their demands. As the law requires, further action was supposed to be taken when the employer declined to respond to the demand letter but the union referred her to Kituo cha Sheria. Boniface of Kituo took over her case and filed new demand letters negotiating an additional of Kshs 100,000 more than what the union had negotiated. This was within the law as the employer was supposed to remit NSSF, NHIF and failure to give notice for the employee. A week later, his employer came to Kituo offices and was now willing to negotiate for the amount that he owed Susan. Susan expresses her gratitude to Kituo for assistance accorded as she has now been able to pay her debts for the period that she was unemployed as well as buy one and a half acre piece of land for her children.